The copyright on this record is for 1983, in reality, it was recorded between May 1980 and Feb. 1981, as you can tell actually. All compositions are by Elliott except the first song, co-written with Ricky Peterson, and The Air (last song) which is taken from Bach. This is a radical departure from the earlier "City Traffic" -- on this record Elliott does american style fusion along the lines of the Shadowfax - Watercourse Way album. Notice for ex. on the second song, the song for Janny, those stunning flying-carpet moog passages by Peterson. A kind of folky vibe appears with the open string strumming on the next piece, Saguaro Bend (in Arizona?). Then a more groovy laid-back fusionary outpouring in Lothlorien with some really tasty chord changes that just spice the smoothness so perfectly, like a jalapeno chocolate truffle. Altogether, so well-produced, enjoyable, and extremely well-written, I find it distinctly sad that with this the 'Natural Life' discography, which we covered for almost a decade, comes to an end. Of course today, Mike Elliott still performs the guitar, that I don't doubt, his talent is immense. But what does he now think of his past work, lost to time? Notice the really gorgeous delicate-mystery atmosphere these musicans build up with the E minor intro. Here, the F sharp (a 9 for E minor) is being used tritonally on the C major chord that starts the song which is technically what provides the mysterious mood. Very soon, Peterson's moog starts to assert itself playing string-section-like backing notes before the guitar re-takes command. Pay attention to the end of the song where we get that 'flying - moog' effect that always makes me think of a spaceship in deep space. The big highlight of the record is the extended synths-guitar suite on side 2 called appropriately enough, "An Eclectic Suite", with titles of The Float, The Fat, The Snake, The Wave, any fusion-fan will absolutely salivate like a pavlov dog (to use Mick Jagger's wonderful proverbial phrase) over this grinding machine of electric jazz-rock factory-line luxury riffs... disappointingly though it ends in a fade-out, a bit of a cop-out I would say for such a technically proficient and inventive composition. I wait impatiently the lost US progressive treasure which will come soon ! Very interesting dicovery for me. Thank you ! 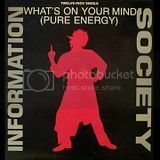 Tristan - do you still have flac files of this album? I know the musicians and recording engineer personally and would be interested to have a copy of this. Sadly, Mike Elliott passed away in 2005 following a heart attack. 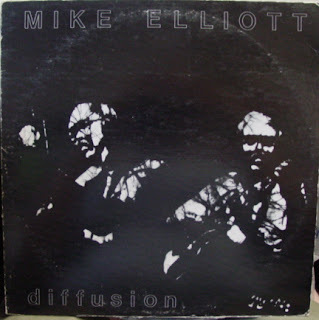 I was a jr n college workn at da campus jazz station later as an intern at wnop Cincinnati n 84 when I discovered mike elliott diffusion..My Fave song lothilorion captivated me..it was during da big 80's jazz fusión craze Wen jazz artists combined rnb jazz funk..Lothelorion was refreshing n spellbounding..Its been 30 yrs but ill neva 4get Mike Elliott's Diffusion..R.I.P. Is there any chance to repost both Mike Elliot albums p l e a s e ?